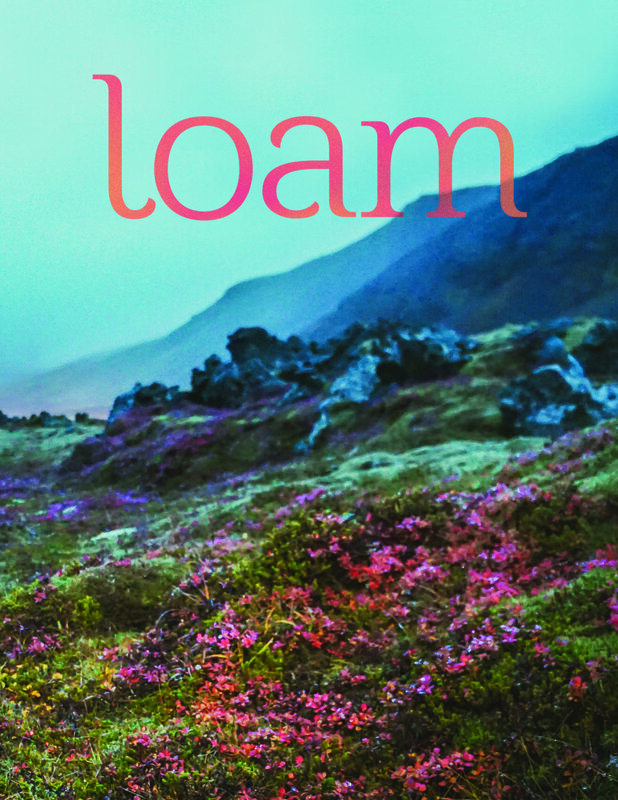 We were honored to be interviewed this month by Kate Weiner, founder and creative director of Loam Magazine. Kate describes Loam as “a movement of compassionate and creative activists who strive to support one another as we find our footing in the heart of the climate crisis. [Loam’s] community is passionate about seeding regeneration, resilience, and joy through embodied experiences that inspire the cultivation of sustainable activist practices, foster intersectionality across movements, and help each one of us to heal our connection to our earth.” We feel at home in the community of Loam, and are excited to share this interview with you here. To read more soul food from Kate and the rest of the team at Loam, order Loam Magazine, subscribe to Loam Love, and follow Loam on instagram. I first discovered The Far Woods thanks to The Woman Who Married A Bear. Milla had shared a snapshot of The Far Woods’ luminous Lunar Calendar that documents the dates of the new, waxing, full, and waning moon phases and I was drawn to the potent print of a moon rising silver across the shoulders of night-blooming flowers. Since my mama gifted me my own Lunar Calendar earlier this year, I’ve found that I return to it again and again to map out gatherings with friends and mark rituals in my life. The calendar is as beautiful to look at as it is a tactile reminder to create the space for ceremony. My experience with my Lunar Calendar reflects the value of educational art to bring beauty into our everyday and to inspire creative action. And it’s this capacity to spark tangible connections that I so cherish about The Far Woods. Created by sisters Sonya and Nina Montenegro, The Far Woods provides prints, workbooks, zines, patches, and posters in service of seeding regenerative and reciprocal relationships with the earth and with each other. This lively spirit is very much manifest in Sonya and Nina’s work. Their passion for vibrant colors and bold patterns are a sensuous reflection of our vital earth. And although their work is more than ‘“enough”—I know so many folks who have been inspired to mend and make thanks to The Far Woods’ radical art—it doesn’t take itself too seriously. Paging through The Far Woods’ body of work, I am always moved by the playfulness that darts in and out of their luminous illustrations. During these dark days, play can feel elusive. Like so many of you, I sometimes struggle to nurture my inherent lightness and liveliness when confronted with systems collapse. The Far Woods embody for me, however, a growing movement of creatives who are transforming their radical joy and artistic energy to create images, stories, and tools that help us return to the kind of curious and compassionate spirit at the core of creating new worlds. In many ways, Nina and Sonya’s work is asking us to reflect on what we can do to be a part of this “ghost tide.” How can we respond to the despair and deep uncertainty surrounding us with love? How can we cultivate the conditions for creative responses to climate change? How can we transform our art into a tool of activism? It’s this reflexivity and responsiveness to where we’re at that makes The Far Woods such a dynamic model of compassionate creativity. Although their work exists in conversation with the times, it is rooted in a fundamental spirit of abundance and of hope. As Sonya and Nina show, our art is a way to both sow the seeds for the future we want to grow into and an opportunity to nurture a reality worth living in. Creative action truly is prayer and by showing up for our muses, we can better channel our vision for the world into tangible changes. The Far Woods reflects Loam’s belief that creativity is resistance, prayer, and power. As we reflect on creativity this month, their meditations on arts-as-activism provide a beautiful blueprint for shaping the world we want through a commitment to coming alive through the art we make and hearts we mend.